The length and number of visits needed to prepare and adjust the restored tooth. Before your treatment begins, your doctor will discuss with you all of your options, and help you choose the best filling for your particular case. To help you prepare for this discussion it may be helpful to understand the two basic types of dental fillings — direct and indirect. Direct fillings are fillings placed immediately into a prepared cavity in a single visit. They include glass ionomers, resin ionomers, and composite (resin) fillings. The dentist prepares the tooth, places the filling, and adjusts it in just one appointment. Indirect fillings generally require two or more visits. They include inlays, onlays, veneers, crowns, and bridges fabricated with gold, base metal alloys, ceramics, or composites. During the first visit, the dentist prepares the tooth and makes an impression of the area to be restored. The dentist then places a temporary covering over the prepared tooth. The impression is sent to a dental laboratory which creates the dental restoration. At the next appointment, the dentist cements the restoration into the prepared cavity and adjusts it as needed. Dental fillings are used to repair damage to the structure of a tooth or teeth. Structural damage can be caused as a result of tooth decay, wear or trauma. After the removal of a problematic tooth structure, the tooth is restored with one of several filling materials: gold, amalgam, composite resin (white filling material) or porcelain. 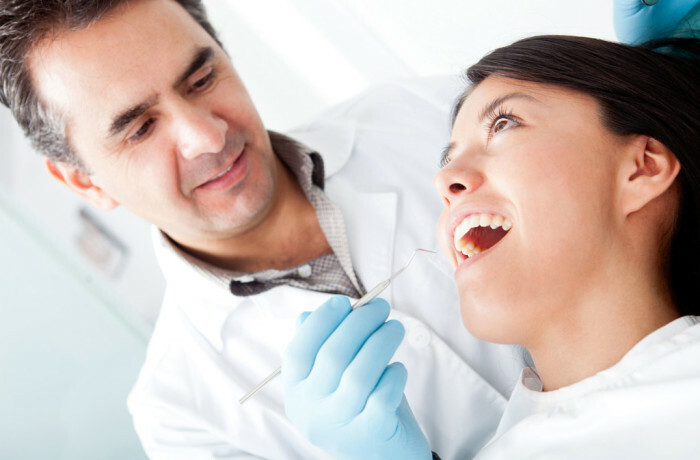 The Doctors at Friendly Dental of Somerset will determine which material is best for the patient.